These club members are about to enjoy breakfast at CJ's Restaurant at the Central Illinois Regional Airport in Bloomington (KBMI) in April during a club fly-out. The club's Skyhawk is used by most members for short cross-country hops, primary training, and local pattern work. Why pay money to just rent an aircraft when you can become part owner and enjoy all the benefits of ownership without the considerable extra cost? You fly more economically, especially on cross-country trips. No daily rates to pay while you are at your destination, only flying time. To pile on even more goodness you pay for TACH TIME, not HOBBS. 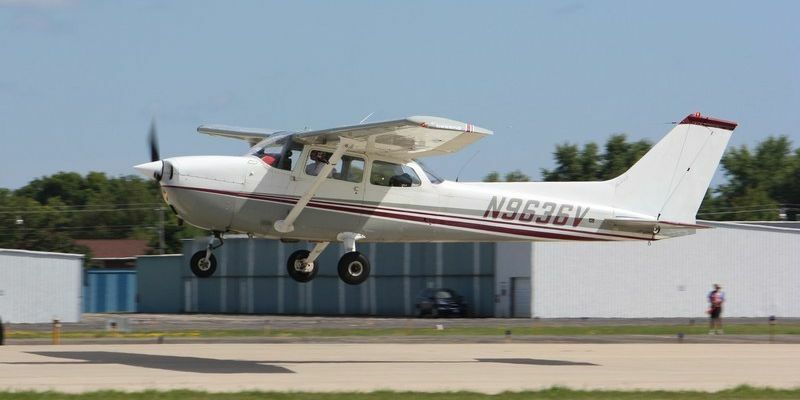 There is no better way to fly in, around, and out of the Chicago area - the NAPERVILLE FLYING CLUB. Contact us today to learn more about these opportunities.